Settled into our nice environs, we looked up at the screen and were first served 3 amuse bouches quite different from what was coming up. O.P Mehra ’s Bhaag Milka Bhaag was the first promo which ended with a brilliant slo-mo capture of ripplingly muscled Milkha who glides past while the titles loom in stylish red .Then Prakash Jha, like a stuck record, gave us a teaser of another overwrought political film- Satyagraha- but there was no Aspirin nearby. And then Shahrukh Khan , in another shameless bid to grab more money and faux-fame, makes fun of South Indian tropes in Chennai Express. 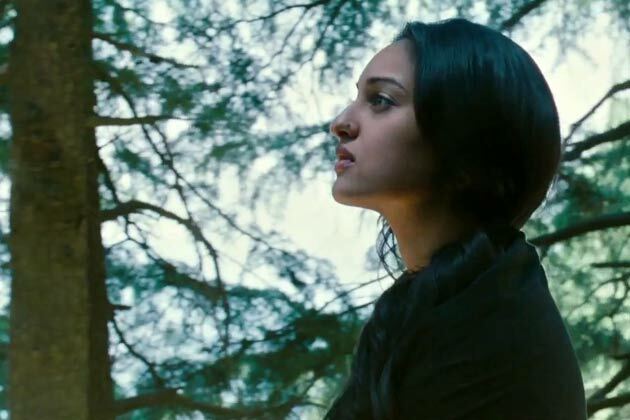 But I held my nerve- Lootera’s director Vikramaditya Motwane is a superb writer and he had previously helmed the excellent "Udaan" which had an audacious ending to boot. Pic opens with refreshing shades. We see two young good-looking people, and make the smart assumption that the girl and boy are going to end up in love. While they may live happily ever after, we realize early that we are not going to be killed by stereotypes.There’s no college campus set-up, no NRI candy-floss. The year is 1953 , locale- countryside Bengal . 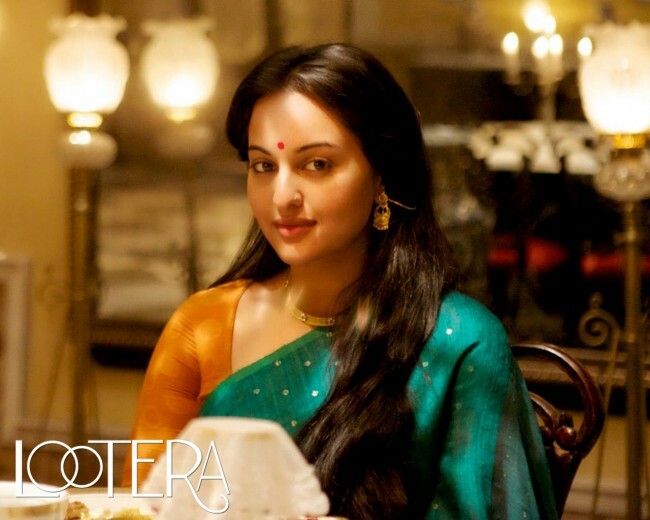 Sonakshi Sinha plays Pakhi - a winsome girl who’s not excessively chirpy, and whose voluptuous features and soft rounded contours recall a lady from a Ravi Varma painting. Ranveer Singh enacts Varun Shrivastav -a young man with a body like sculpted timber and a demeanour that’s by no means wooden. Pakhi’s father is a Zamindar (Barun Chanda) of vast assets but he does not act fast enough when counselled that he has to safeguard his property before the government steps in. The Govt plans to abolish this ancient land-owner system and leave the Zamindars with just 15 acres of the original property. To complicate matters, Pakhi suffers from what seems like asthma, but no problem, Varun is an expert in giving intravenous bronchodilator injections even without tourniquets. Varun is a young archaeologist whose mission to excavate the land around a temple is met with no objection by the Zamindar . By his gentle behaviour and cultured side, Varun is soon asked to be a house-guest, much to the delight of Pakhi who has not broken his heart but almost broke his leg at the start. Romance blooms and while the Zamindar is troubled by the new law, he’s apparently liberal enough to let his daughter cavort with the new hunk in town. We get some beautiful captures of 1) flora- sylvan farmland with reflection in the lake, a green field of yellow flowers with a vintage car on the road above and 2)fauna - the two youngsters deciding to tenderly cross limits. But things have to boil and roil , so the peace is soon shattered, intrigues are bared open and we are left with the day’s ruins (the archaeologist may still find something there) What’s more, post-interval there’s a superb second act too with the scene shifting to a snowy town. There are 3 film-making big shots at the helm here - Ekta Kapoor, Anurag Kashyap and Vikramaditya Motwane. The results show hearteningly.The screenplay’s inspiration is O Henry’s Last leaf -a 4 page short story .Co-writer Bhavan Iyer constructs a layered story of love, loss and uphill trudge that is leavened by evolved direction and a fine sense of humour. Bolstered by a solid script, Motwane shows what a good director he is - he knows when to give the story some breathing space, to record the characters in their silent moments, to let the charged encounters play with clean focus. A chase in the second half is shot with clarity, power and hard-hitting realism. 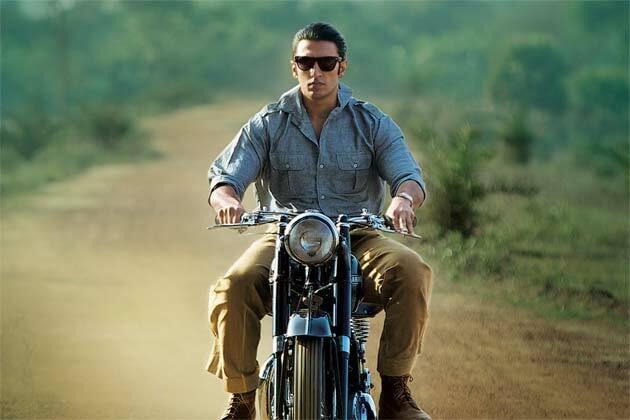 Songs are used sparingly and with a sense of natural integration but Motwane needs to upgrade his taste in music - both Udaan and Lootera end with a frothy version of upbeat orchestra and cymbals that is as mature as a college romp. Barun Chanda essays the Zamindar bearing a craggy complex visage, who does not know how to be hard-hearted. 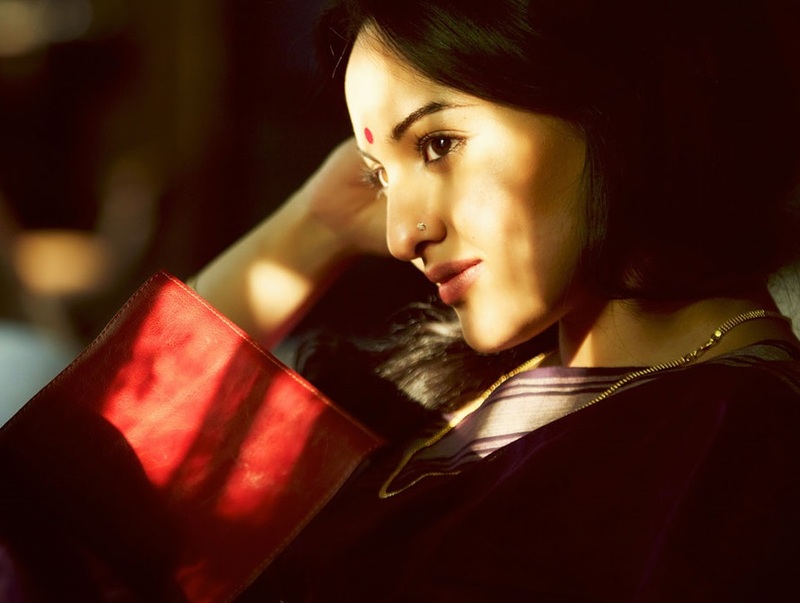 Sonakshi Sinha opts to act in a retro-period film this time instead of a retrograde film -she almost atones and exposes her fine acting chops . There are no girly shades here, just the firm mature arc of an emerging woman. Once smitten twice shy, Pakhi will not give in easily. Her emotional outbursts have depth and honesty in them, and her suffering is tempered with the wisdom of pain.Ranveer Singh, with his initial get-up of gel-slicked hair, denim shirt and khakhi trousers (and riding a bike which makes for a damn fine promo still) is impressive overall as the hunk with the steely exterior and a finely calibrated heart that shows deep reserves of character and gumption. The pair hit it off both in emotionally intense scenes & humour-tinted ones - eventually there’s a beautiful sense of tenacity and poignancy in their relationship. Amit Trivedi , whose finest accomplishment till date remains Dev D’s songs which crescendoed with the exquisitely stylish Paayaliya , again shows that he has riveting ability, and though he fails to reach the zenith, he strengthens the film. Sawaarloon is a serviceable 1950s retread with a horse-cart rhythm, dholaks & tambourine led by a sweet female voice -and it acquires much better effect in the film while serving a backdrop for love-birds. 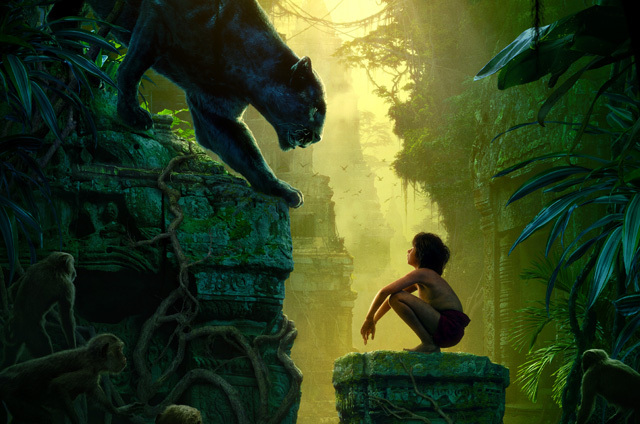 A gentle breeze with a mellow male voice blends into soft swells of strings and percussion that comprise Ankahee- one the important themes in the film. Cellos and guitar show early hope in Shikayatein which is a young crooner’s lauchpad, but a proliferating college-band influence mitigates any real brilliance. Then beautiful fun frolicks in with a folksy guitar that leads to the deep timber & wonderful loops of a Bengali Dotara which graces the start of Monta Re -a fey fusion of Bengali folk and Jazz..Swanand Kirkire’s voice anoints a delightful desi quiddity to this special blend. 'Zinda' could have been outstanding soft-rock, but the lyrics and vocals later degrade into juvenile levels -it is placed at a bracing juncture in the film, and somehow manages to fuel that dare-devil scene. Then, a gently swooping and rising chorus weaves an enchanting tune, Santoor canoodles with Guitar and Shilpa Rao’s husky seductive vocals invite us into the addictive folds of Manmarziya -the album’s best song placed at a fantastic point in the film. Listened on its own, it is an odyssey through a desert, with billowing silks and onward tossing rhythm, while refreshing oases loom and recede. Like some of life’s finer things, it is over too soon. Not since Rockstar have I watched so romantic a film. 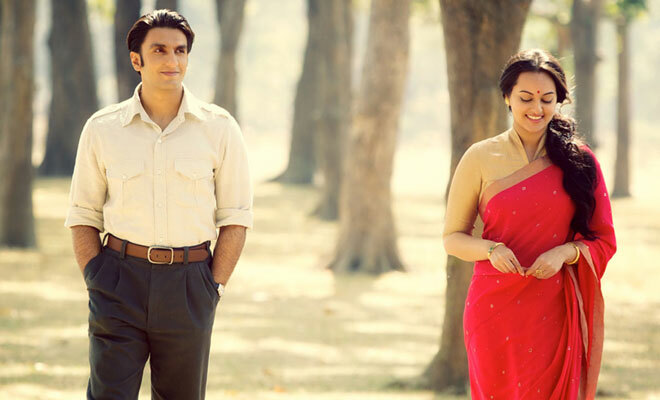 Lootera thus becomes a notable addition to the slowly enlarging group of Hindi films that have an unconventional script and yet manage to incorporate the audience-appeasing tenets of mainstream cinema. It is not the same old picture from Bombay, it is not a blind copy of a Hollywood film, and it’s certainly not Bollywood (whatever that illegitimate mongrel word means) It is, despite its yesteryear setting, a fine example of modern Hindi cinema.